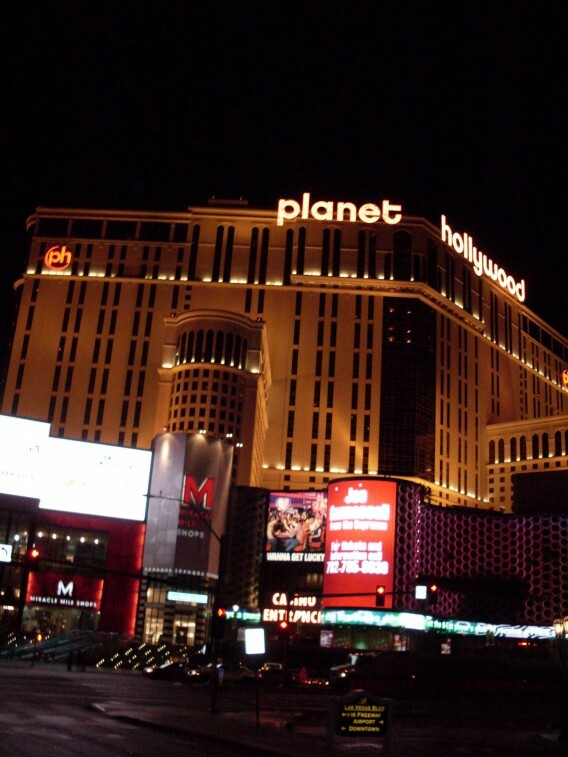 Another week, another Las Vegas resort and casino cybersquatting case. This week, it is OpBiz, LLC (“OpBiz”) – the owner of the Planet Hollywood Resort & Casino in Las Vegas – going after Unister GmbH (“Unister”), an company whose domicile is unknown but believed to be in Germany. See OpBiz, LLC v. Unister GmbH, Case No. 09-cv-02192 (D. Nev.). A copy of the complaint can be downloaded here. The Las Vegas Sun reports on the lawsuit here. But unlike last week’s cybersquatting case pitting New York New York Hotel and Casino against the owner of newyorknewyork.com (blogged here), this lawsuit is a little more clear cut, as evidenced by the fact that the court has already issued a temporary restraining order in the case ordering the domain registrar to lock the domain and have it transferred to OpBiz pending the outcome of the litigation (copy of the order here). According to the complaint, Unister registered the domain name http://www.planet-hollywood-resort.com/ with the domain name registrar Domain Robot on July 18, 2009, and soonafter, began linking the domain name to a “hotel reservation website offering links to services provided by Plaintiffs competitors.” OpBiz alleges that the website offers vacation and flight packages at the Planet Hollywood resort and casino, but when website visitors attempt to purchase such packages, they are informed that no rooms are available and instead offered to book rooms at other competing hotels, from which OpBiz believes Unister will obtain pay-per-click referral revenue. The website is already down but Google’s cache still has a snapshot of the website here. This case is a much clearer illustration of the type of activity that the Anti-Cybersquatting Protection Act was designed to address. And yet, in the end, what does OpBiz get out of the lawsuit except possession of a fairly worthless domain name that was probably not getting much traffic in the first place (nor was it probably diverting a lot of customers away from Planet Hollywood, but this point is certainly up for debate). After all, how many web users will type in planethollywoodresort.com into a web browser with dashes between each word (OpBiz already owns the same domain name without dashes)? It’s not the type of domain name that internet users would just stumble across. Moreover, Unister’s website doesn’t appear anywhere among top search results for the terms Planet Hollywood Resort. And while OpBiz, upon obtaining a default judgment when Unister undoubtedly fails to respond to the complaint, might be able to obtain the maximum statutory damages award of $100,000 for Unister’s infringing domain name (see 15 U.S.C. §1117(d)), is OpBiz really going to go through the steps to try and collect such a judgment? Then again, in these tough economic times with the Planet Hollywood Resort & Casino teetering on the verge of bankruptcy (news story here), maybe they will. And with federal courts possibly starting to come around towards accepting that domain names can be property subject to creditor claims (see court order in Bosh v. Zavala; see also comments by Venkat and Digital Media Lawyer Blog), perhaps there might be some property for OpBiz to attach after all.